Discussion in 'TSLA Investor Discussions' started by Benz, Jan 3, 2016. Combined total of global deliveries of Model S and Model X in 2016? Poll closed Jan 1, 2017. So I think we can safely say that we have a winner for the 2015 prediction competion, if we don't get a too big final adjustment by Tesla in their upcoming Q4 report in February. With the current deliveries, as reported by Tesla today, the total stands at 50,580. Our winner is 'Lump' that predicted 51,888 almost a year a go. He is off by only 1,308 deliveries. Our second runner up is 'maoing' with a prediction of 52,800 deliveries, off by 2,200 deliveries. Third place goes to last years winner, 'bonaire' with a prediction of 47,690, off by 2,890 deliveries. As for the 2016 full year prediction competition, I'll open up a thread tomorrow. The rules we played by the past two years have been that the voting closes one week after the February quarterly report so as to give everyone a fair chance to take TM's guidance into consideration, so we've got plenty of time. Thanks for participating everyone and hopefully we'll get more participants in the next competition. For 2016 competition I would like to suggest that we get to predict a separate global total number of Tesla Model S deliveries, AND a separate global total number of Tesla Model X deliveries. How about two separate competitions? And each competition will have it's own thread, so that nothing will get mixed up. Two separate results, and (probably) two separate winners. After all, there are two different vehicles now, whereas in 2015 we already knew that there would be very few Tesla Model X deliveries (not more than 1,000). I'm not sure why there are so many people want to convince themselves and novices that demand is not an issue for Tesla. Demand certainly is growing but that's not Tesla investors can be satisfied. We need demand growth exceeding expectation, guidance without sacrificing margin. Otherwise, we should not debate if 50580 met on reduced low end of guidance instead of how much Tesla can beat 55K even w/o model X. Here is my earlier reply to papafox wrt. 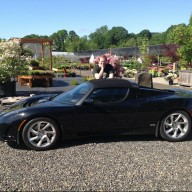 demand constraint reasonings http://www.teslamotorsclub.com/showthread.php/40244-Short-Term-TSLA-Price-Movements-2015?p=1239789&viewfull=1#post1239789. I'll stop replying here. People always like to choose what they want to believe and I have no obiligation to convince them. For 2016, the 17K model S quarterly demand like Q4 is not sustainable. But model X backlog will mitigate the demand issues. So for the Q1/Q2/Q3, TSLA SP is mainly driven by model X production rate. Again, Demand is not an issue. Favorite thread on TMC :wink:, hopefully more people will participate in 2016 so we can track their predictions. Hopefully in the future Tesla will meet some of their goals, from 2014 second quarter shareholder letter. The speed at which we are executing this capacity upgrade will allow us to exceed35,000 Model S deliveries this year. Provided that we execute well and there are no serious macroeconomic shocks,Tesla’s annualized delivery rate should exceed 100,000 units by the end of next year. Model 3 is a half-price solution. Currently, you can buy CPO Model S RWD for half their original price. And some now into the $40xxx range USD. Since this car is supposed to be better than a Model 3, why are there CPO on the lots still? Is it because people demand the new-car smell? Or they require no scratches or other dirt issues? I feel EVs of 5 miles, 50,000 miles and even 150,000 miles all will run roughly the same performance. The problem is how long does an owner feel a battery will last and also any out of warranty cost concerns with many of the CPOs with RWD Drive Units. Until the CPO demand shows mass adoption of Model S at a faster pace (and more will be on the lots come later in 2016 due to lease turn-ins) - I don't want to estimate any future demand guesses for Model 3. I actually think the Chevy Bolt won't do that well and it is in the same driving range as Model 3 and could benefit from a growing DCFC fleet of CHAdeMO or SAE combo chargers should they be deployed. To get consumers fully on board, they need to see far more SuperCharger stations or at least far more HPWC at malls, hotels (chains like Marriott and Hyatt), and motorways. I extimate 3-4 times as many SuperChargers should be distributed and more of the 2-head and 4-head and not 8-head solutions. You need them scattered like at convenience stores rather than large ones on major highways. Plus they must display "load status" using car telemetry to indicate how many Teslas are "nearby" the charging point. Data is there - time to use it to help people know if they will have a wait prior to showing up. Model 3 will be "hot" but also must fit into the budgets of those who are not already in the EV "world". Model S has sold as many as 2,3 or more to single-owners as they went from model to model since 2012. Their repeat buying may repeat with Model 3 but the 3 will definitely be one that requires new un-assimilated buyers to be lining up and getting very good lease finance rates. It's a wildcard, really. Benz - wasn't it said that Tesla would deliver at 50% annual growth rates "for years to come"? I do think getting past 50% growth for 2016 on cars alone will be tough to do. Denmark had its end of year blitz. Norway is tapped out somewhat waiting on Model X. And the Model X is currently unknown for current reservations holders (based no whether some removed their reservation or switched to Model S). Another wild card. In February we will know how many deliveries of S/X vehicles they will guide for 2016. What are your first rough thoughts about that? It's close to the time to put to bed the 2015 thread; here is the one for 2016. The above five posts I have extracted from the 2015 thread. Good luck and happy prognosticating to all. My strong inclination is not to create separate threads for Models S, X and 3 but I certainly cannot stop those from showing up. This thread will serve for Tesla Motors's entire output. I agree with this, at least that was the rules for the two previous years of the competition that I set back then. Of course that can change, but I think we should keep it as it makes it more fun to have one winner "take it all". In any case, the deadline for casting/modifying the vote is one week after the Q1 conference call, so no need to hurry. I'll remind everyone to vote in good time. My vote is 78,777 delivered vehicles. I didn't know I had started this thread. I would like it if there would be a poll on top of this thread as well, just like the poll on top of the Q4 2015 prediction thread. I started it earlier today, then pulled the relevant posts from 2015 into it. Since they preceded by age my post, they showed up first. I think anyone can place a poll on it; if not, start a poll-thread on its own and I'll merge the poll into this one. My belief is that if a company were ever setup to grow production fantastically quickly, it's Tesla. New product in Model X with high identified demand, and high theoretical demand, that is ready to go now (there will undoubtedly be another quarter of ramping logistics, but we're past the "when will it first be available" milestone), alongside of an existing high demand product. I believe that in 2017 there will be more X than S deliveries, with crossover happening sometime in 2016 (said another way - I expect that demand for the luxury SUV segment is higher than demand for the sedan segment). In my mind, whether somebody buys an S or X is irrelevant to Tesla, or it will be in a quarter or three when X production is ramped up. So I don't know the mix in 2016. My belief is that it could be huge, and I'll be disappointed at anything under 75,000 (50% growth off of the ~50k 2015 delivery number). My prediction is 65,000 (30% growth off of the 50k 2015 number). Call it the "wins should feel like wins" prediction. I have just added a poll on top of this thread. Please post your precise prediction for combined total of global deliveries of Model S and Model X in 2016. Your prediction can be adjusted anytime before Tesla announces deliveries (January 2nd 2017?). Feel free to specify annual Model S deliveries and annual Model X deliveries, but winner will be determined based on combined total of global deliveries of Model S and Model X in 2016. In the poll, please indicate the range that your prediction falls within. This poll will close on 2017-01-01 at 11:48 PM Be advised that this is a public poll: other users can see the choice(s) you selected. Thank you for your participation in this thread. Shouldn't the poll close a week after Q1 earnings? Since people have been waiting for the Model X so long, it would make sense that Tesla would push a little harder in that direction. So I predict more X's than S's. Also, once the reviews start flooding in and they are spectacular then sales will see a spike just like we saw back in the early days of the S.